Why the parenthesis around Seoul? 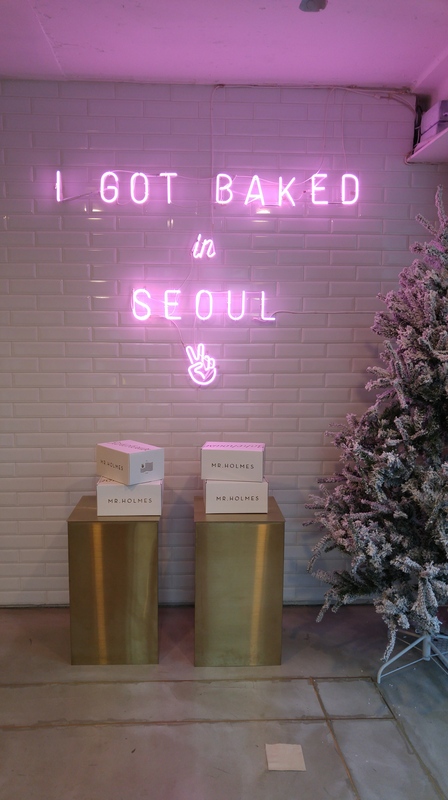 Well Mr. Holmes Bakehouse’s first home is San Franscisco and recently opened up a shop in Seoul, and the bakery is slowly expanding in the US as well (coming soon to LA). I dare you not to drool over their instagram accounts . I recently went with Mika, in the afternoon hoping it wouldn’t be too packed. 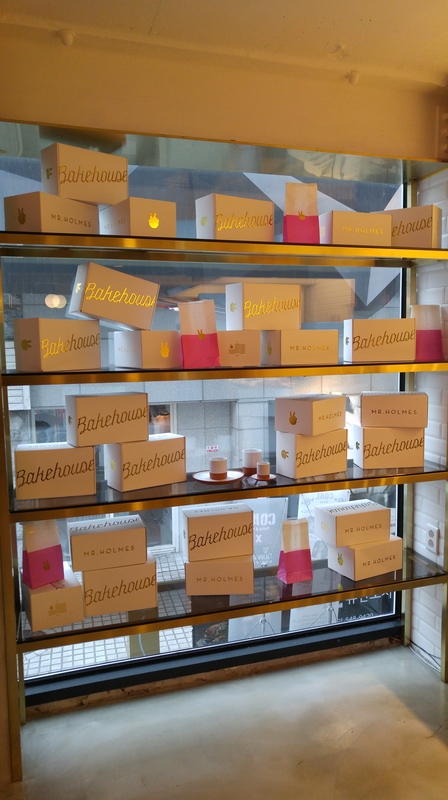 Mr. Holmes Bakehouse is on the 2nd floor, but you can stand outside and watch them bake through a large glass window. There’s two levels of seating, but when we arrived we noticed there was practically nothing left. They were sold out of everything but a couple scones, cookies, one poor lonely bread pudding, and some savory danishes. Lesson learned. 2 in the afternoon is not a good time to go. So here’s some advice. They open at 10am. If possible go then. If not, go during one of their refill times. Donuts tend to be around 10, 3, and 6 (and you can get about 6 per person) and Cruffins refill at 1:30 with only 2 per person. Check their newest instagram pictures though for specifics on flavor and times. Even though there were only dwindling crumbs Mika and I did managed to get some things we liked. Mika got a cookie and a savory danish that had onions in it that was super flaky. Flakes got everywhere, but she loved it so much that she ran back and got another before they sold out. 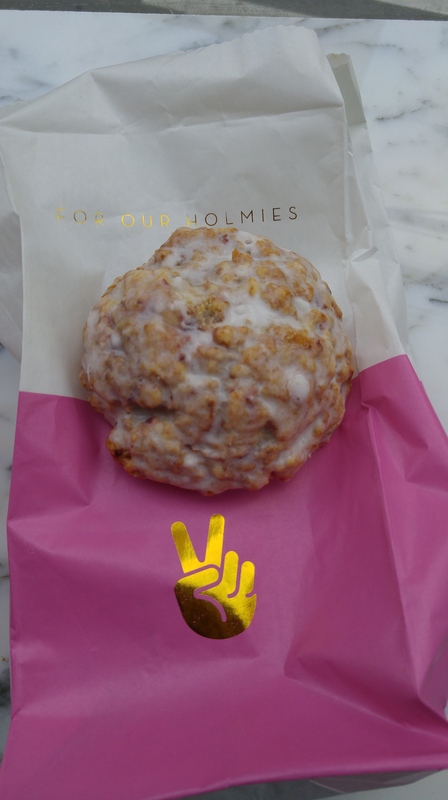 I ordered a scone which was delicious and soft and really filling. We’ve made plans to go back and try more of their menu. It is off Gargo-sul 가로수길 in Gangam where everything tends to be a little bit pricier. Good luck Holmies!